Welcome to another Needle and Thread Thursday, friends! It's been a whirlwind around here this week! Yesterday, I guest-hosted WIP Wednesday at Freshly Pieced and shared progress on a few projects. I finished up a Kindle sleeve for my wild thing out of scraps, and I'm toying with the idea of putting together a little tutorial for the method that could be modified for any size tablet. Anybody have any interest in that? This evening, I was able to finish up the quilt I mentioned in my Freshly Pieced post, but alas, the weather is rainy, and the fact that it gets dark so early makes even indoor photos just about impossible. So, since the weather is supposed to be sunny tomorrow, I'll just hold out for good pictures. 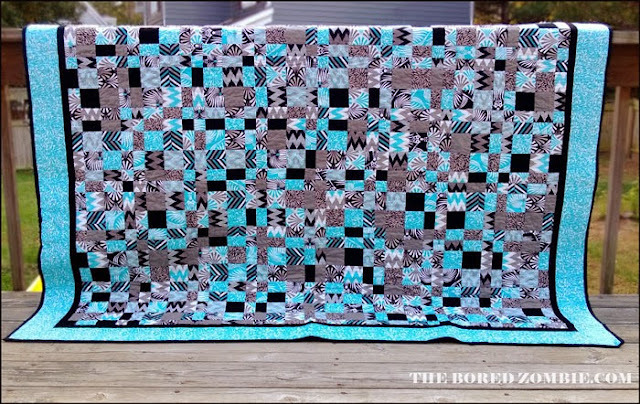 Yesterday was also the end of the giveaway of the Benartex Dori FQ bundle that I used for my Bold Braid quilt, and the winner was determined by Benartex using Mr. Random, of course! Benartex let me know that comment number 47 was the winner, and that was Dawn! Congratulations Dawn and enjoy your fabric! Last week, there were some really fantastic links! I just love browsing through all of them! Susan at The Bored Zombie shared "The Bruiser." I just love the bright blue and black together. 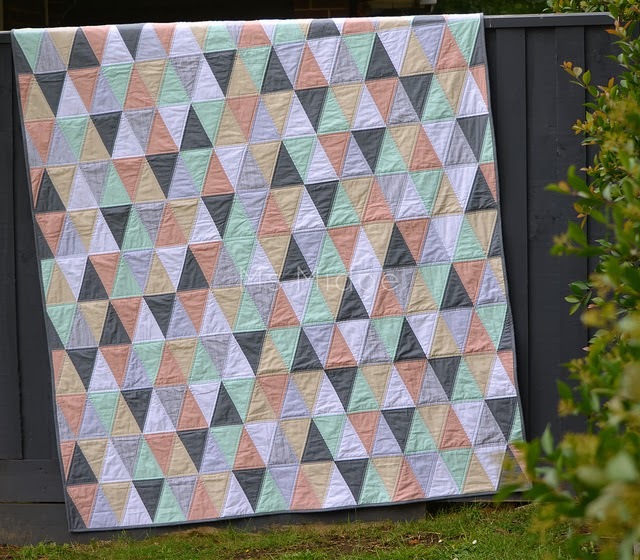 Ms. Midge finished up this triangle quilt in these dreamy solid colors. So pretty! So, what have you got going on this week? If you're like me, you're in a sprint to the finish looming only seven short weeks away. (yikes!) I can't wait to see, so link up! I love that kindle cover. My bf has a Nexus 7 tablet and it really needs a cover. I love your kindle cover. I saw it over at Freshly Pieced. I love how you put it together - like a quilt and then binding to cover the raw edges! Yours is quite delightful with the bright and bold fabrics. Love it! Thanks for hosting your wonderful and fun linky party! Thanks for hosting! 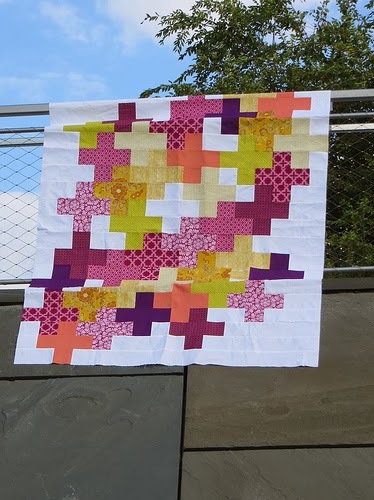 Cant wait to see what you have for tomorrow's Quilt Story Series! Can I post two finishes to the link party? Yes, would really love to see a Kindle sleeve tutorial. And thanks so much for your continued inspiration--seeing all your beautiful creations. Yes please to a tutorial! I could see tucking lots of things into a cute cover like that... maybe even use them as Christmas gifts with goodies inside. Yes, a tutorial would be welcome. Kelly thanks for sharing your table keeper and your finds from last week. I have been so bad about blogging and linking up. It's nice to pop out and see what everyone has been doing while I was hiding in my sewing room. So glad you like The Bruiser! I dig it too - it has even found its way to my bed... how did that happen! It wasnt FOR me. :) I dig your kindle cover - wonder if my mom needs one... Christmas is coming! Your Kindle sleeve is awesome, I need to make some for my boys' tablets--they need protection! yes for sure a tutorial!! love that idea!! cute cute. If it were mine, I am thinking of adding a 'cross over body' strap. It's a thought anyway.